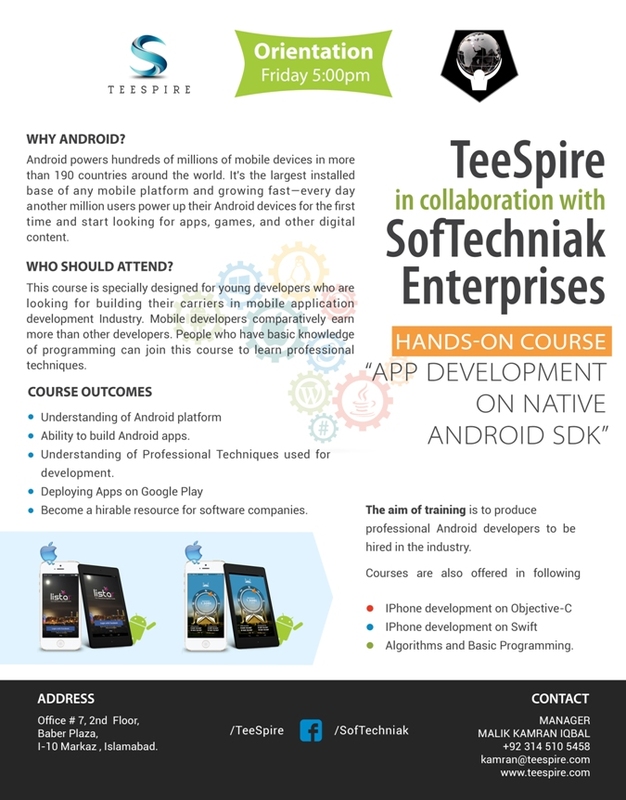 We have started offering Android Hand-on Course in collaboration with SoftTechniak. Android powers hundreds of millions of mobile devices in more than 190 countries around the world. It’s the largest installed base of any mobile platform and growing fast—every day another million users power up their Android devices for the first time and start looking for apps, games, and other digital content. This course is specially designed for young developers who are looking for building their carriers in mobile application development Industry. Mobile developers comparatively earn more than other developers. People who have basic knowledge of programming can join this course to learn professional techniques. Ability to build Android apps. Understanding of Professional Techniques used for development. Become a hirable resource for software companies. Its been a while now since our company’s inception ( I think more than a year now ), and we have been meaning to go and mingle with the crowd. Finally we took the plunge with “Startup Expo 2015″.